The Western Washington University Children’s Literature Conference is in it’s 8th year and this year it actually took on a NEW name. The Western Washington University Children’s Literature Alternative Conference. This is due to the fact that the founder of the conference, Nancy Johnson, – my college advisor and a woman I greatly admire, is teaching in an American school in Singapore. Her friends and colleagues put on the conference in an alternative form, because we need it. There was talk of the conference not happening at all, but thankfully they saw the need and the conference took place as a bright light on a dark horizon that is the rest of the school year. 🙂 It was an alternative version of the conference, a half day instead of a full day, and 2 keynote speakers (author/illustrators) that shared instead of 4. This year’s speakers were Kirby Larson (I get to hear her here in Kingston on March 19th at 11:30 at the Firehouse Theatre – come join!) and Chris Raschka who were both so inspiring for totally different reasons. (Seeing a theme of inspiration?!) 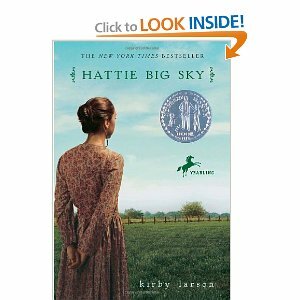 I can’t wait to read “Hattie Big Sky” to my students and I ordered two copies of “Arlene the Sardine” one for me and one for a friend. 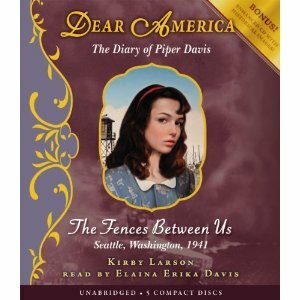 I also purchased the “Dear America: The Fences Between Us” by Larson and the Fortune Cookie story by A. Bitterman and Illustrated by C. Raschka. This was a personal purchase as a gift to Jamin and myself for our 3rd wedding anniversary. 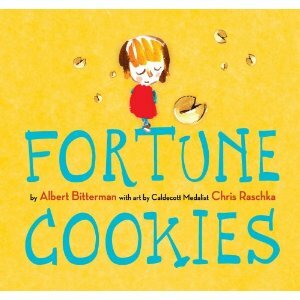 On our first date we received a fortune that read ‘the evening promises romantic interestes’ and in this story 7 fortunes come true for a the main character! But in true WWU CLC style it was inspiring, invigorating, and reminded me that there are other’s out there who pursue their careers and dreams with children (and story) at the heart of it! 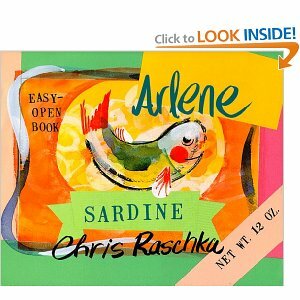 Chris Raschka’s dramatization of “Arlene the Sardine” is something I will NEVER forget! This time of year, mid-January to the end of February often becomes a dark time for me in teaching. The kids are just as great, in fact they are fantastic, they can run the class on their own. They know the procedures, the content is sinking in and they are thriving. They could almost do it without me. For me though the monotony, the daily grind hits and often I have found myself “bored” or falling too much into “routine.” The conference always kicks some sense into me and come back refreshed and inspired. This funk never lasts long, due in large part to my weekend at the WWU CLC! Last year I had the honor of introducing Gerald McDermott a truly remarkable man and author/illustrator. It was huge honor for me and my First Grade Friends, and was a responsibility we took very seriously. We studied him as a person and his craft. We studied folklore and practiced our own retellings of stories passed through generations and cultures. The kids fell in love with folklore but specifically McDermott’s illustrations and how he tells a story. If you are a teacher reading and are considering attending next year… I say, “GO!” No reason should keep you away. I brought a colleague this year and she felt the same. She is a WWU CLC believer. We have March 9, 2012 on the calendar already. Next year I plan to bring another friend who is an aspiring author/illustrator. His sense of humor, incredible talent, and the fact that he has story just built into him makes him the perfect attendee! I am so excited! True inspiration for me.